One of my star Mah Jongg students is gone for the summer but I just received the following message from her. 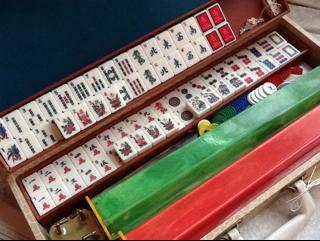 All I can say is, thank goodness her husband and son are safe…and the Mah Jongg set is intact. Hey – we know our priorities, right?!! And a beautiful enrobed set it is… I must add a sorrowful note to this story which I have spun with a bit of a frivolous air – sadly, the third dog did die. He was 13 years old, blind, deaf, and an incredibly dear soul. He couldn’t hear anyone yelling to get out of the house. He was sound asleep on the bed he loved. Hopefully he has now made it across the Rainbow Bridge where he happily frolics in the sunshine every day, sight and hearing fully restored. 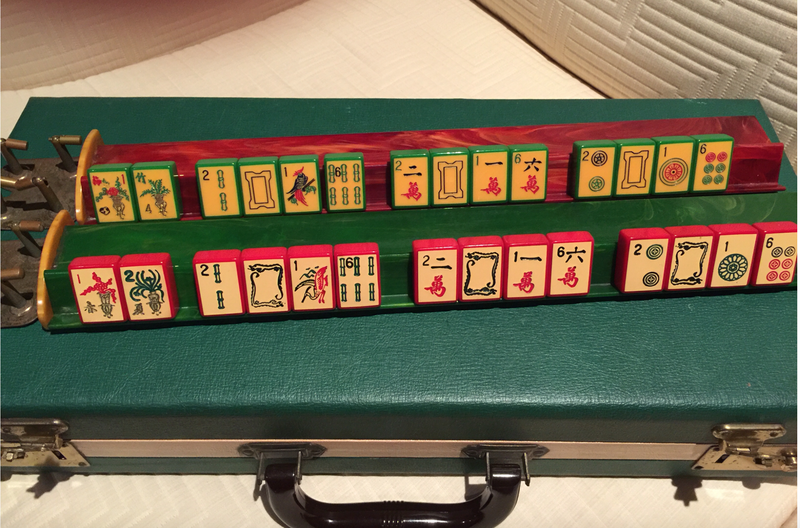 This entry was posted in Mah Jongg and Me and tagged enrobed, mah jongg, Rainbow Bridge on June 15, 2015 by Mah Jongg and Me. 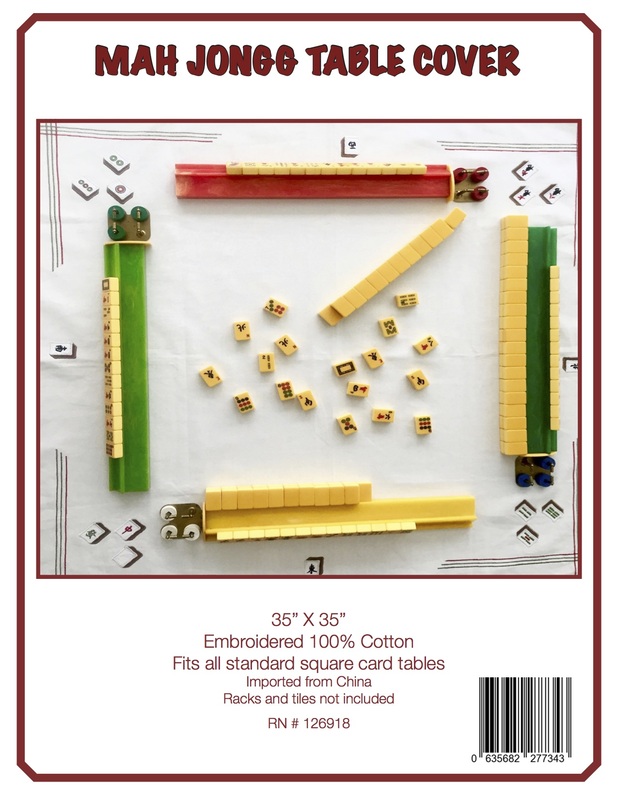 Ken also purchased a set of twenty orphaned burgundy enrobed tiles but, as he wrote, “I also purchased a large lot of the same dark burgundy enrobed flower tiles (Extra Flower Set #2). These are very slightly thicker – instead of 7/16″ deep – they are 29/64″ deep – so 1/64″ deeper than the original set. It’s almost imperceptible – but I used a fancy digital caliper to take the measurements. My hope is to find someone who is looking for some of the orphans that I have and is willing to trade one of the flowers/blanks/jokers that I’m looking for. I’ve attached pictures of the extra flowers I have. Any help you could provide would be much appreciated. Thanks for your help. 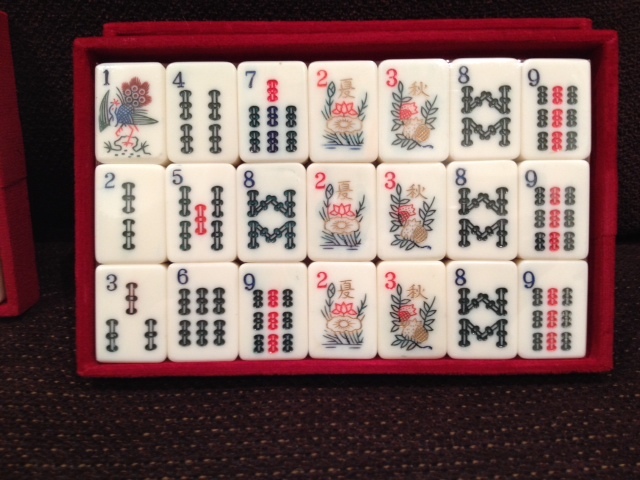 The set which Ken acquired did come with extra Flowers that measure 1 1/4″ tall by 7/8: wide by 7/16″ deep. These are more of the orphans that he would be willing to trade. 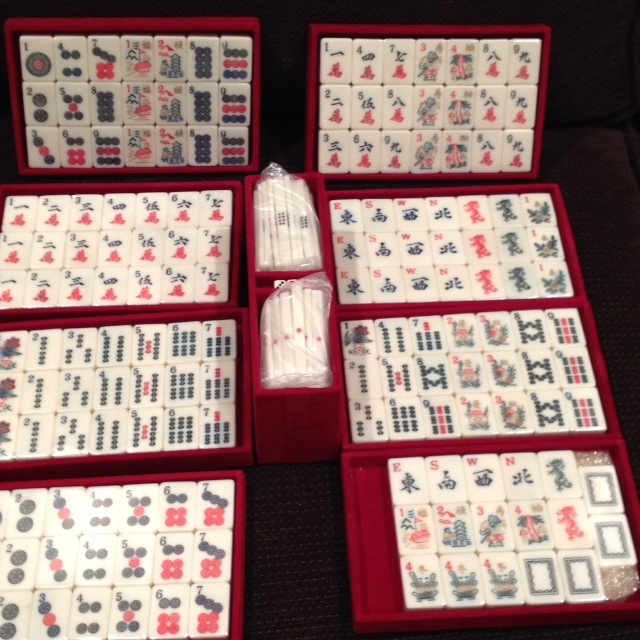 I asked Ken where he found this beautiful set and he wrote back with the following: “Hi – Thanks for the compliment! It was listed on a local Facebook page and after much negotiation I bought it – it came with a faux alligator hard case in average condition and 5 bakelite racks. 8 of the flowers were stickered and nail polished so I didn’t know what they were until I peeled and cleaned them. 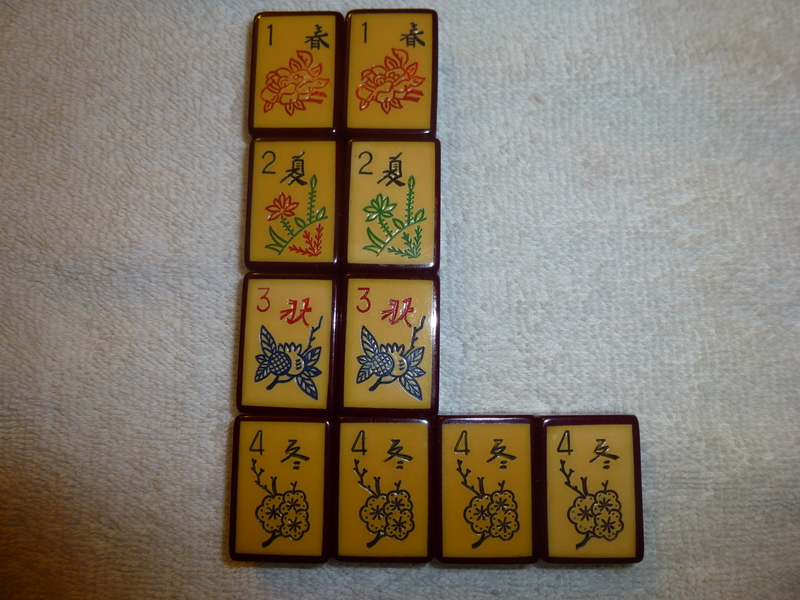 I also bought the other 20 orphan flower tiles (in extra flowers #2). They are soooo close but just that tiny 1/64″ thicker. 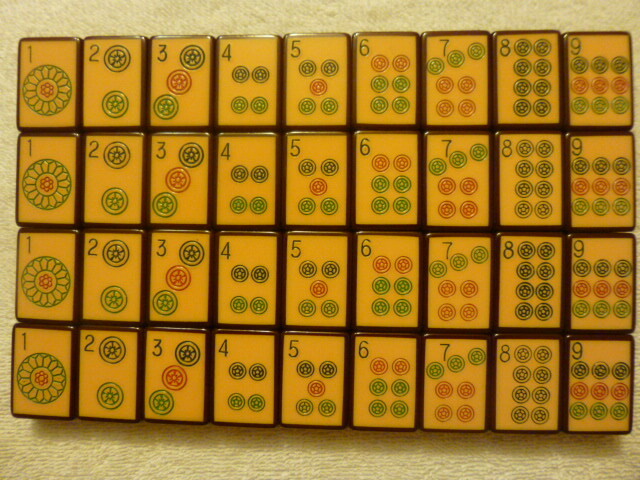 I’ve played Chinese Mah Jongg for quite a while and only recently started collecting. 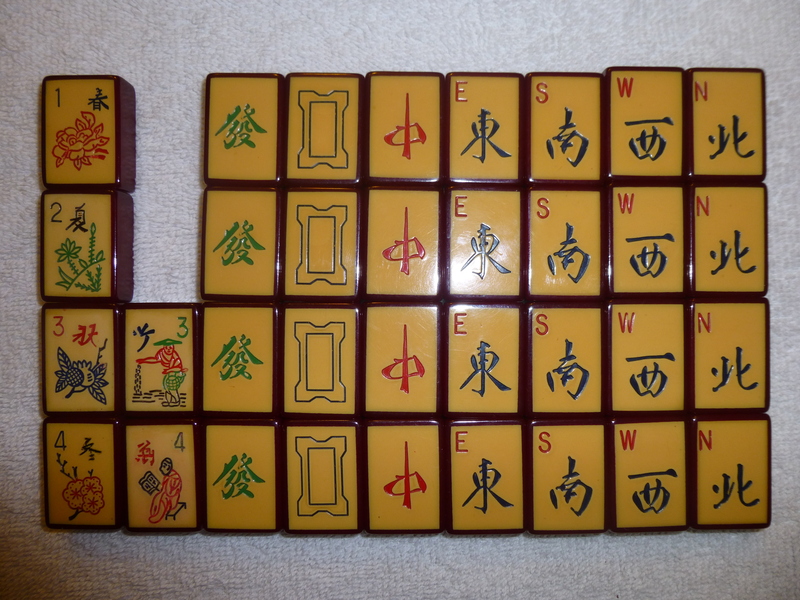 The best of my collection is this set, a “pillow” tile set and a Chinese Bakelite set. 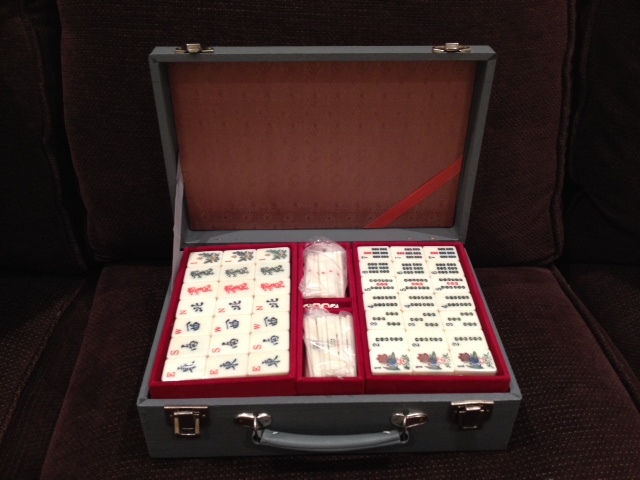 My next target is likely a French ivory set and perhaps one of the new Red Coin sets. BTW – I really enjoyed reading your book! I look forward to seeing if anyone responds to the posting on your blog. I hope someone out there will be able to help Ken complete his trophy set – contact me and I will put you in touch with him. Worst case for Ken is he could sticker the extra Flowers that came from his set to use for Jokers. It is very kind of him to offer these up to anyone who might be able to use them to complete their own gorgeous burgundy enrobed set. Thanks, Ken! 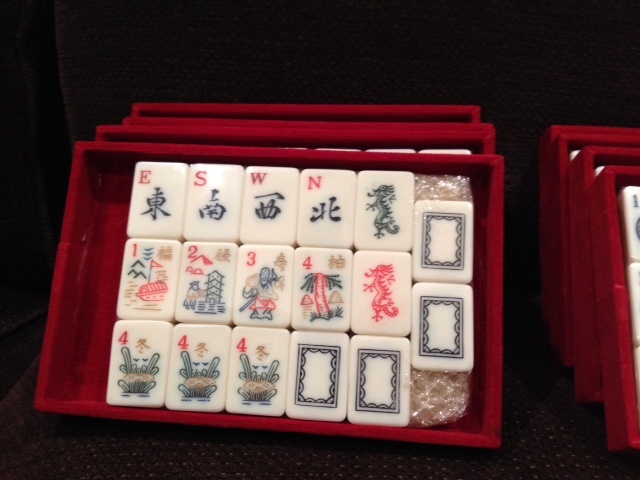 This entry was posted in Mah Jongg and Me and tagged caliper, Chinese bakelite, enrobed, Flowers, french ivory, mah jongg, Red Coin on May 18, 2015 by Mah Jongg and Me. …and thinking and dreaming that someday a set like this will belong to me! And how about those catalin racks?!! 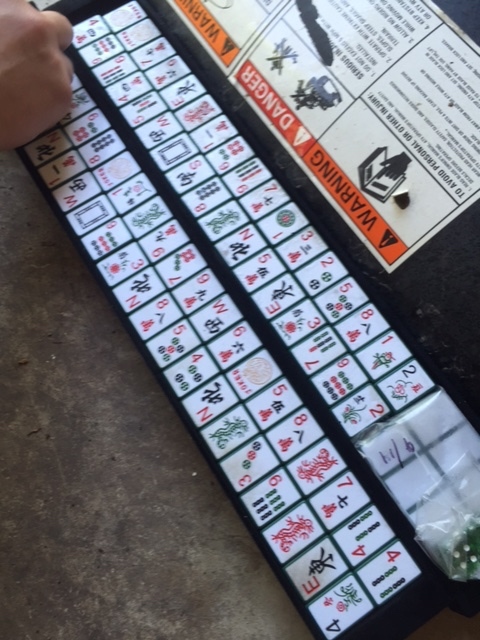 This entry was posted in Mah Jongg and Me and tagged Catalin, enrobed, mah jongg on May 13, 2015 by Mah Jongg and Me. 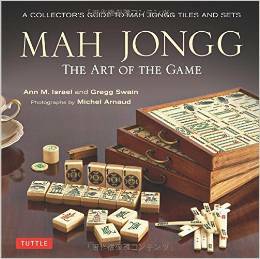 MAH JONGG WEDNESDAY AND A SPECIAL GIFT! 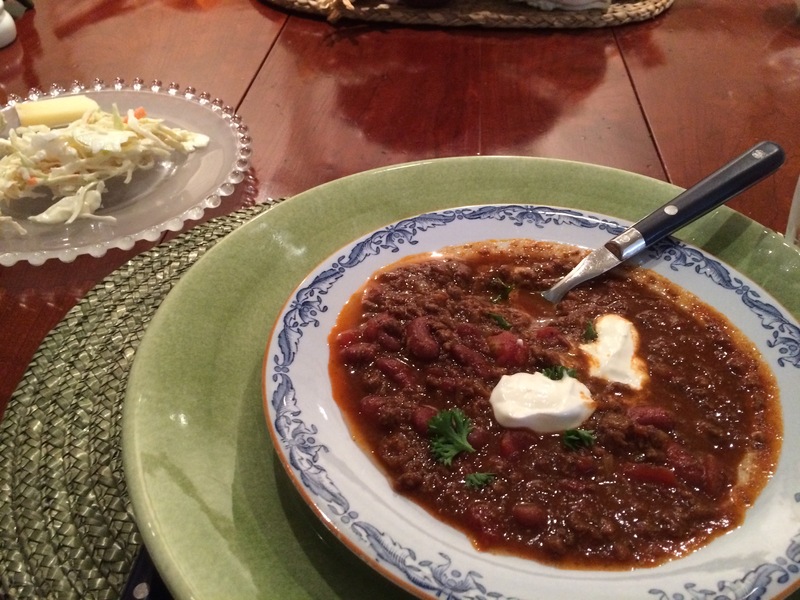 Lunch was so delicious – spicy chili, three different and wonderful kinds of cheese, cole slaw, and – YUM! 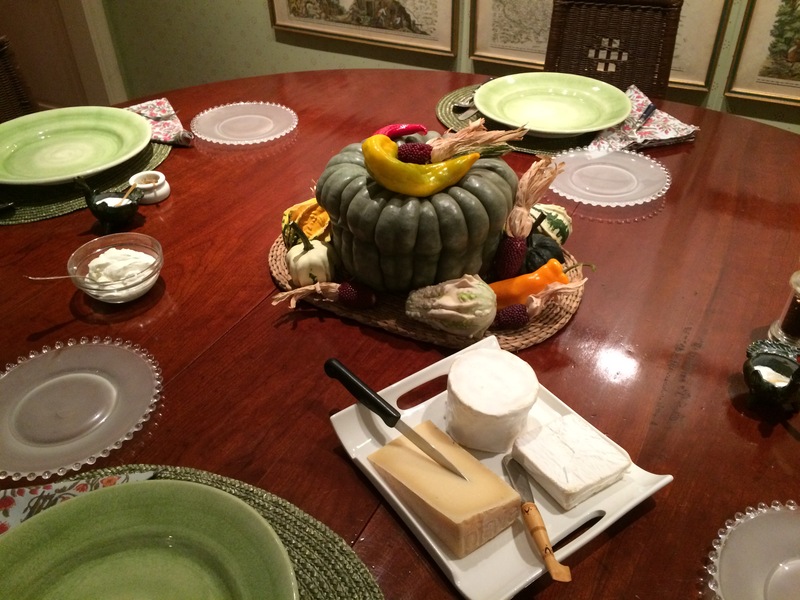 – corn bread! 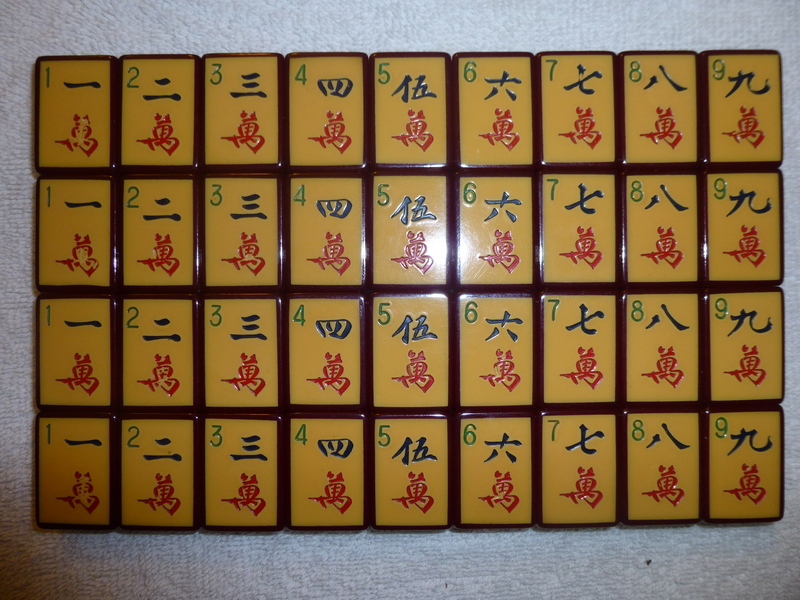 This entry was posted in Mah Jongg and Me and tagged Atomic, enrobed, mah jongg, where the winds blow on October 16, 2014 by Mah Jongg and Me. 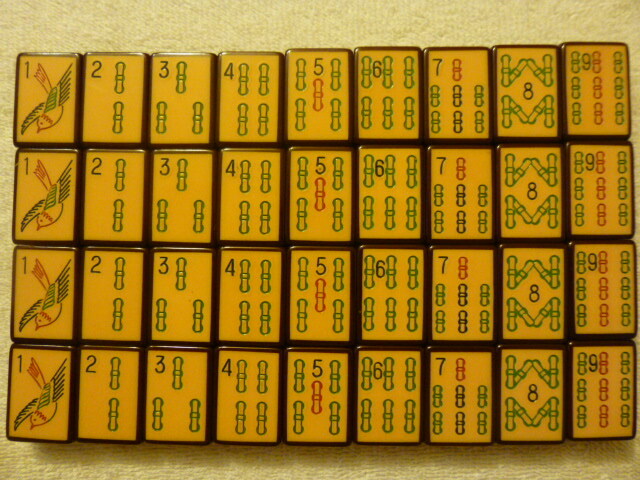 One of my favorite Mah Jongg experts, Tony Watson, has taken a shot at this (before he had a chance to see any of these photos): Without a pic it’s difficult, but I’m guessing it’s a urea resin set, small tiles with thick white top backed with thin bamboo, deeply impressed designs in a tiny suitcase. The booklet is a standard title that comes with many sets. Probably from the 60s/70s. But I’m only shooting the breeze here! 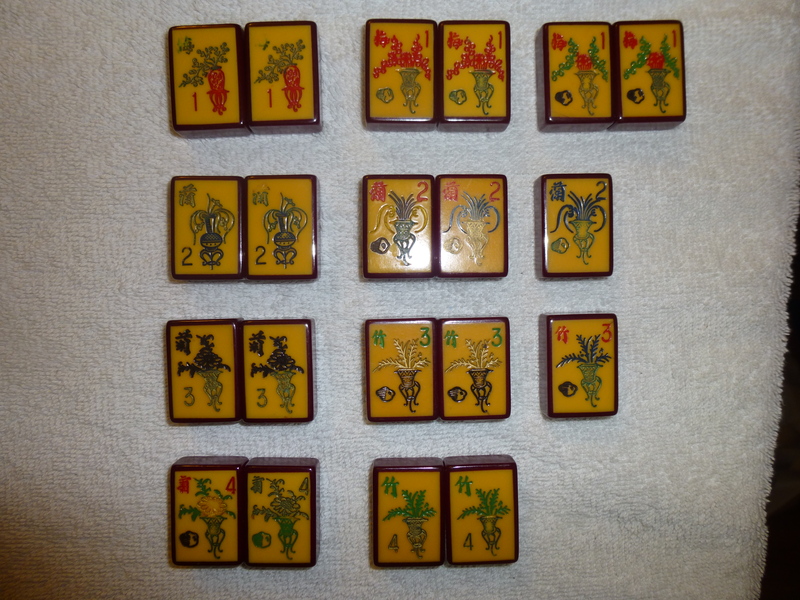 And, after Tony saw the photos, he added: Yes, probably 70s, I have a slide-top set with the same birdbam, but these dragons are very unusual for the Japanese sets, they look like those in Matthew & Johni’s mystery sets. Material is as I said before, urea, and very fine impressed designs – excellent quality, which is why they look brand new. I’m intrigued by the tiles to the top of the dragons… I can’t make out what they are, but they appear to have a 1 on them??? 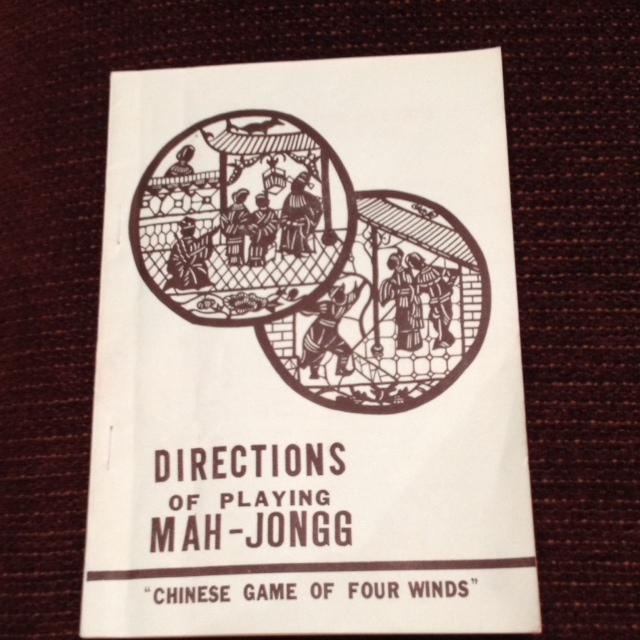 And you have all heard me extol the virtues of the great Mah Jongg teacher, Johni Levene, who wrote: I’m with Tony here – it seems 1970’s ish. I have one and know absolutely nothing about it but they are a nice quality and it’s pretty so I kept it. And then Johni added more comments: Oh wait, that’s totally not the set I thought it was now that I see more tiles. Still, I think it’s the same time period. I’ve not seen it in that case before though, but it’s probably one of those private label type things. Here is one I have handy with a different bird. Its a slightly different style than hers and a bit later. 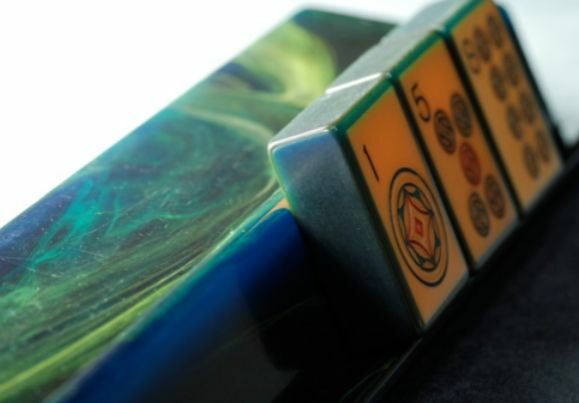 Here is a close up of the bam, not the same as the mystery set. 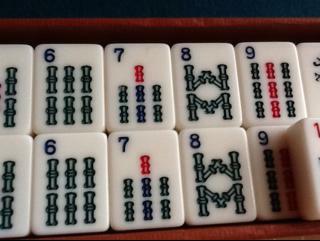 I love the Mah Jongg community! This entry was posted in Mah Jongg and Me and tagged Atomic, Boston, Cape Cod, Chinese Game of Four Winds, comments, enrobed, fundraiser, Kimura, mah jongg, Marvelous Mah Jongg, Montreal, National Mah Jongg League, orphans, Portland Billiard Ball Company, questions, tournament, urea resin, Wisconsin, Woodruff on August 2, 2014 by Mah Jongg and Me.